It Came Out Of The Sky, All 2.3 Lbs. 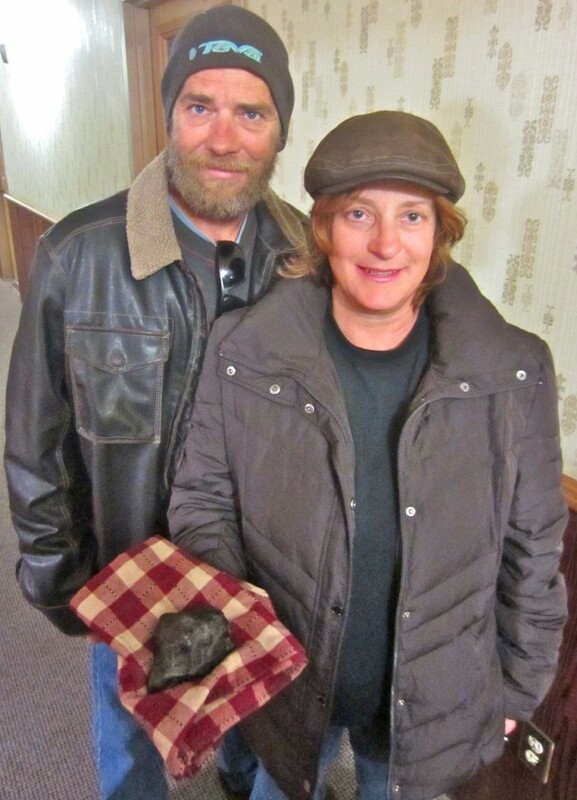 Duke Lindsay and Cindy Harmann with their find. HUMBOLDT – Duke Lindsay and his wife Cindy Harmann find all kinds of things on local beaches, simply because they look for them. Duke is from Utah, a state popular with paleontologists for its abundance of fossils. “That’s where I got started,” he said. 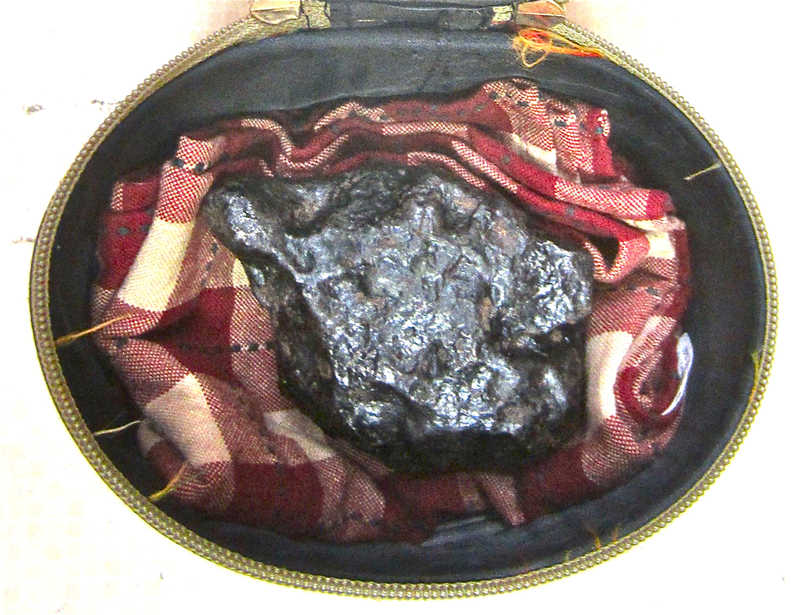 The meteorite comes with its own carrying case. On April 11, Duke and Cindy were beachcombing on Agate Beach, where it’s fairly easy to find semi-precious stones. There, lying on a sand bank, was what Duke immediately recognized as an iron meteorite. “I was excited,” he said. The 1,052 gram/2.3 lb. lump bears the typical appearance of iron-nickel alloy meteorites. It’s the largest one Duke has ever found – most are thumbnail-sized. Iron is common in the universe, and is one of the elements formed during nuclear fusion inside older stars, which then explode and send the material out into the galactic mix. The meteorite comes in its own carrying case and is cossetted in a plaid cloth. If you’d like to buy it, contact Duke Lindsay at (707) 382-9372. This entry was posted on Wednesday, May 22nd, 2013 at 12:09 pm	and is filed under News, Environment. You can follow any responses to this entry through the RSS 2.0 feed.